I recently gave a Quinoa demonstration at a local farmer’s market, and was asked to post this recipe. Everyone loved the dish and I was so pleased to offer such a traditional Greek meal. I served this delightful Greek comfort food with my yogurt tzatziki sauce. To learn more about the cooking techniques the link is below. 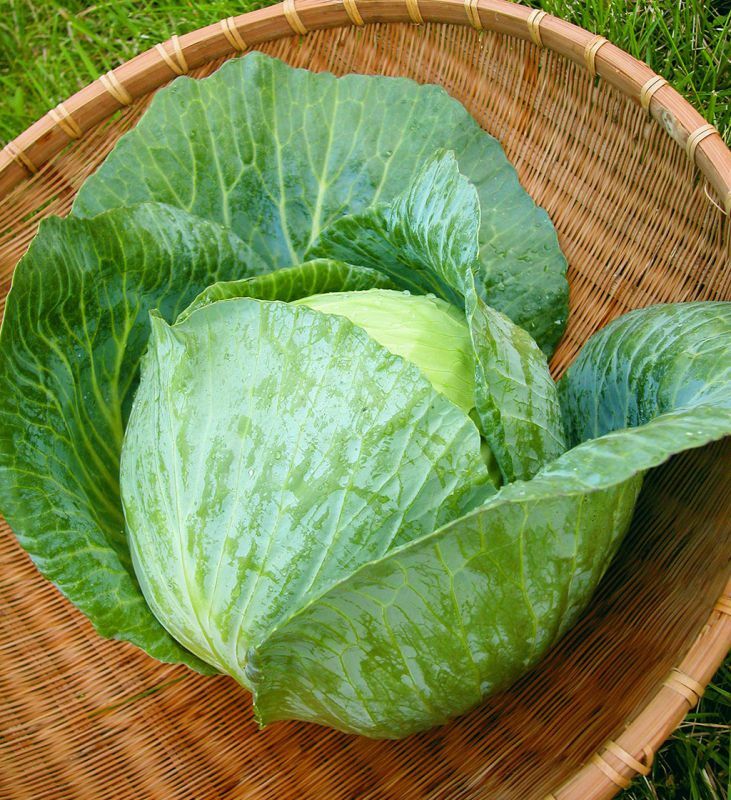 Find green large cabbage heads at your local store or market, take it home and boil it to remove the leaves. Once the leaves have been carefully remove , stuffing the leaves are quite easy. It may take you a few tries, but you will soon get the hang of it. To serve a big crowd like I did here , I lined the cabbage rolls in a large deep serving pan with deep sides. Just plan on doubling the recipe to suit your numbers of guests. This is a great alternative to using meat, and a wonderful additional to Meatless Mondays and the Lent season! Quinoa can be found at Costco under Bob’s Red Mill products, and at your local supermarket. 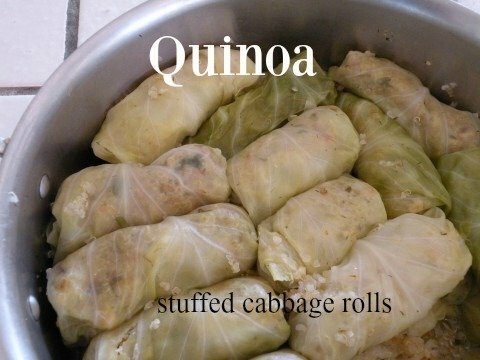 Quinoa Stuffed Cabbage Rolls - "Lahanodolmathes"
This recipe is a healthier version using quinoa in place of meat. Quinoa can be found in your natural food stores. Remove center core of cabbage with a sharp knife. Place one cabbage head in a pot of boiling water for 10 minutes until semi-soft. Remove and drain. Repeat with second head. Reserve the cabbage water for cooking. Rinse quinoa three times with water. Drain. In a large saute pan add 2 -3 tablespoons of olive oil and add onions, and carrots and cook on medium low until the onions are clear and soft. Add the tomato, dill, salt, pepper, parsley, uncooked quinoa, pine nuts, and lemon juice. Cook on low for 10 minutes. Cool the filling. Place a large dutch oven nearby your work surface. Separate the cabbage rolls and place on paper towel. Place snugly onto the bottom of the pan. Continue placing second row on top. 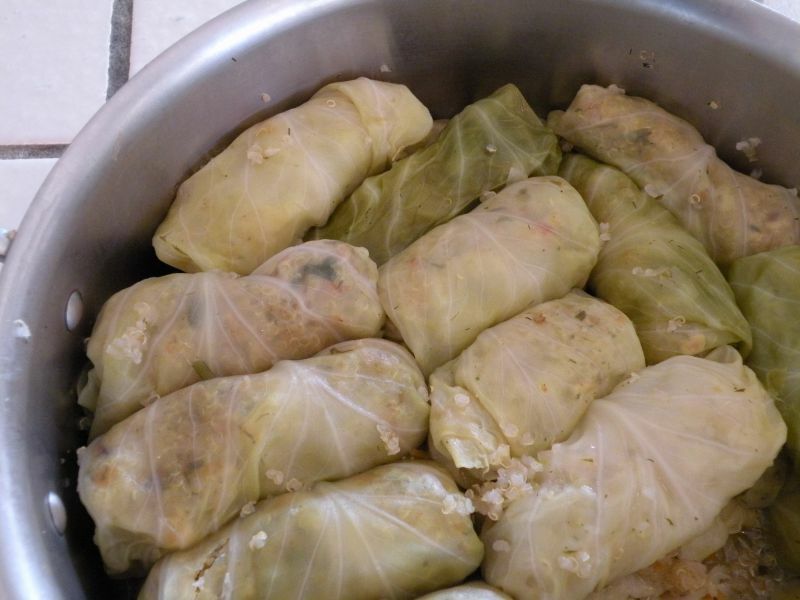 Place a small plate on top of the dolmathes to keep them from floating to the top. Use 6 cups of the reserved water, and pour gently in the pan. Cover, bring to a boil, and reduce to a simmer for 45 minutes. For Cooking Techniques for this recipe . 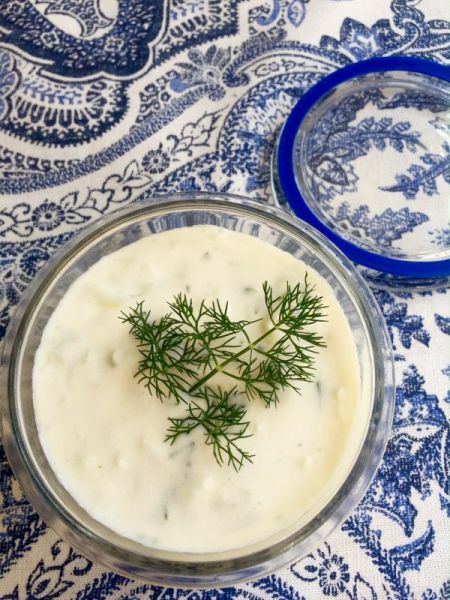 Can be served plain with a drizzled with fresh lemon juice or with Greek Tzatziki sauce. © 2011 – 2017, Mary Papoulias-Platis. All rights reserved. Gluten is something new to me, so I can’t post any recipes quite yet about the specific ingredients and products. But, hopefully you can find a few recipes on my site and tweak them! Terrific twist on a classic recipe – wonderful!